How to Convert Christmas Blu-Ray Movies for on-the-go Playback? December is the winter season for celebrating Christmas and New Year holiday, when we get together and enjoy parties with our family and friends. Christmas is the most important festivals for us, which is the festival of happiness, prosperity, health and joy. People go to Church for prayer on Christmas day morning, and then greet each other for happiness and prosperity. Besides, to decorate Christmas tree and the house would be significant as well. Moreover, the Christmas party would be the most expected and the Christmas party songs will be requisite. And we know that the perfect collection of best Christmas party songs will make us get into the spirit of the Festival. If you are planning a Christmas Party, you must be in need of a collection of Christmas party songs, here are the top 5 popular ones that would be great and helpful. It is a Christmas song first performed by American singer and songwriter Mariah Carey, which is a perfect romantic song for lovers on this occasion. 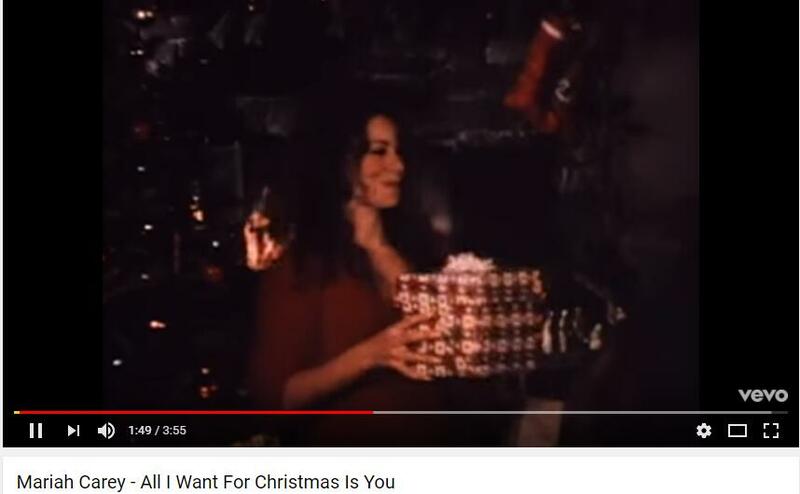 Since Mariah Carey’s soulful vocals and lyrics take this Christmas song deep in heart, it has become so popular and so many singers have sang this song for Christmas. That’s why it would be ranked first in this Christmas party songs list. You can find the relative videos in YouTube and enjoy it as you like. Christmas When You Were Mine belongs to a Christmas EP by American singer-songwriter Taylor Swift named “Sounds of The Seasons: The Taylor Swift Holiday Collection”. The insightful lyrics and vocals with deep feeling make this song widespread and popular among young generation and you would never miss this for your Christmas party songs list. Mistletoe is a holiday classic accompanied with acoustic guitar by Justin Bieber, a talented Canadian singer and songwriter who is quite popular with young generations among the world. 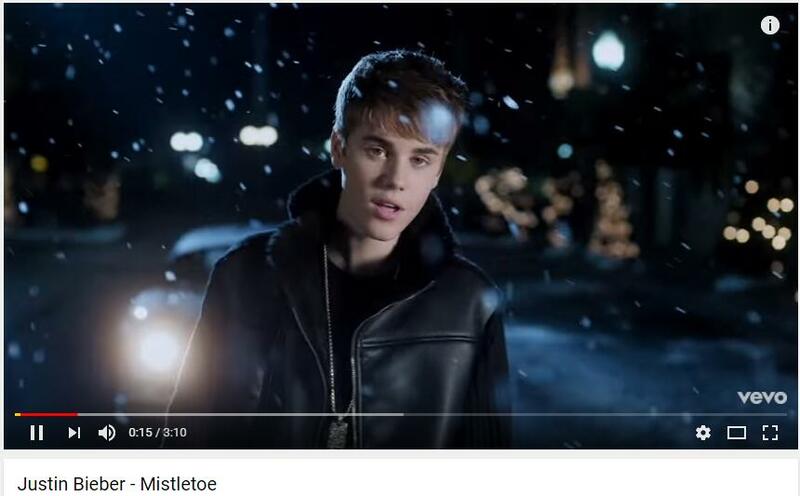 This song was released on October 17, 2011 as the lead single from his Christmas album, Under the Mistletoe, and generally positive reviews from most music critics. It is popular and ranking top among so many countries as one of the best Christmas party songs. This Christmas song, written by John Frederick Coots and Haven Gillespie, was first sung on Eddie Cantor’s radio show in November 1934 and swept the country rapidly. 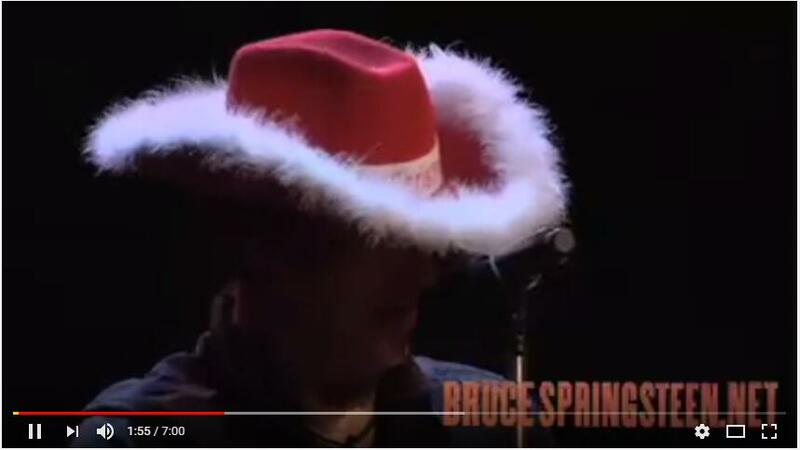 It has been recorded by over 200 artists and the record of Bruce Springsteen would be one of the most popular one. The song is a traditional Christmas standard you will never miss as Christmas party songs. It is a pop Christmas song performed by American recording artist Britney Spears. Everyone has the wish when they were young and this song will remind you of your teen years, which asks Santa Claus to find her a lover during the holidays. And it would be not neglected as one of the top Christmas party songs. Since you have found so many Christmas party songs online, you must want to download these Christmas songs you love best so that you can enjoy them with your friends or you definitely need them in an office Christmas party. 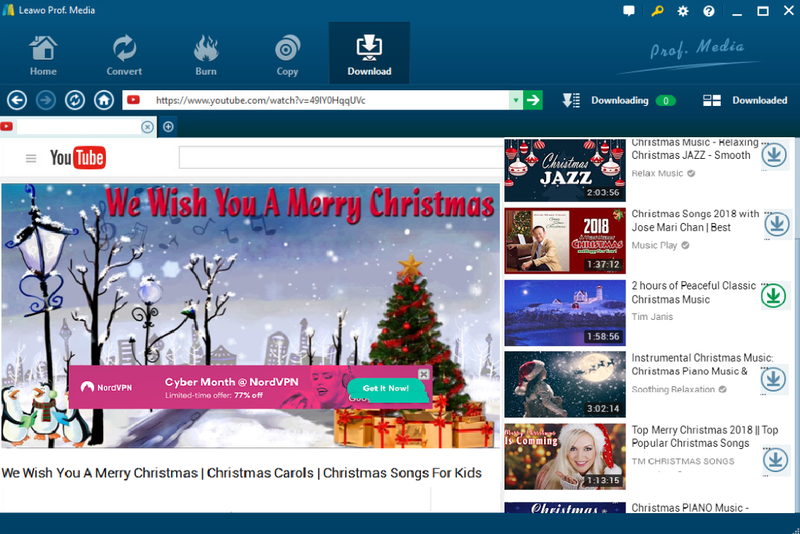 Here come some useful ways for downloading quickly and for free so that you can get great preparation with songs from office Christmas party, including online downloader and peculiar downloading applications. Keepvid is a website which offers users to download online videos from various video sharing sites, including YouTube, Vimeo, Soundcloud, Liveleak and so on. Besides, it works quickly and simple and you can download best Christmas party songs from YouTube with following guide. Step 2: Click Download, the different resolutions of the song will be listed, choose one you prefer, it will download the song for you as soon as possible. Y2Mate is a great online YouTube Video Downloader which allows you to download all video formats like MP4, M4V, 3GP, WMV, FLV, MO, MP3, WEBM, etc. 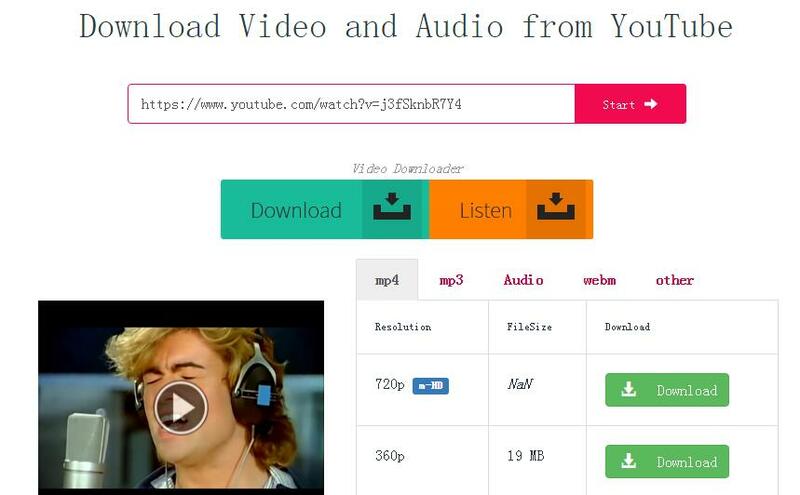 With this downloader, you can easily download thousands of videos from YouTube and other websites totally for free. This downloader also supports you to convert the video from these sites like Facebook, Video, Dailymotion, Youku etc. to MP3 or MP4 in HD. To download Christmas party songs, you can just follow the steps below. STEP 2: The different resolutions of the video will be listed, click Download in the right resolution, and the download will be completed very soon. Leawo Video Downloader is professional software application with which you can download videos and music from more than 1000 sites s like YouTube, Vimeo and Vevo, etc. And it supports high-resolution videos like720p, 1080P, etc. HD videos with 6X faster speed. Besides, it is efficient as well as user-friendly so that you can download, manage and convert the videos as you like. The simple operation makes it easy for everyone to get Christmas party songs from YouTube. Step 1: Download and install Leawo Video Downloader. Click the below button to download and install the program. It takes only a few minutes to finish the installation. Step 2: Find the Christmas party song from any website you like. With the built-in browser and search engine, you can easily locate your Christmas party song by either copying the URL on the address box or entering keys words in the quick search box. 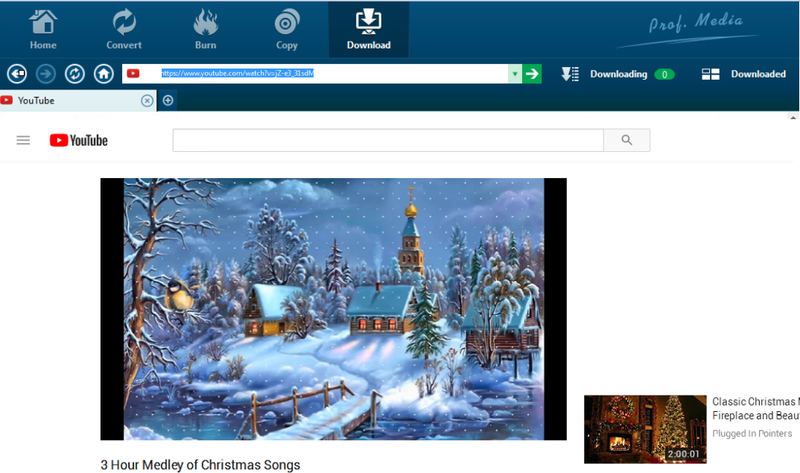 Step 3: Download familiar Christmas songs. Click the downloading icon to start the process of downloading songs. Note that you can download a list of familiar Christmas at one time. Step 4: Check and manage downloaded YouTube videos. After the Christmas songs are downloaded, you can watch or manage them in the downloaded tab and even convert them to the formats you prefer. Anyway, this Christmas party will be simply gotten ready since there are different kinds of video downloader available for downloading top Christmas party songs from YouTube. The best songs for office Christmas party can be easily downloaded since no matter the online video downloader or the peculiar downloader software will be all useful and helpful. You can choose the one you love best and get your office Christmas party songs as quickly as you like. How to save top 10 audiobooks on YouTube?